But if you're running S Health 4.8.0 and above, you may have noticed a new hidden option that adds this very feature. Oddly, Samsung didn't publicize it anywhere, nor did it mention it in the app's changelog, and it even stuck it somewhere different from all the other integrated apps. Instead of checking under More > Partner apps, you have to go to More > Settings > Connected services. 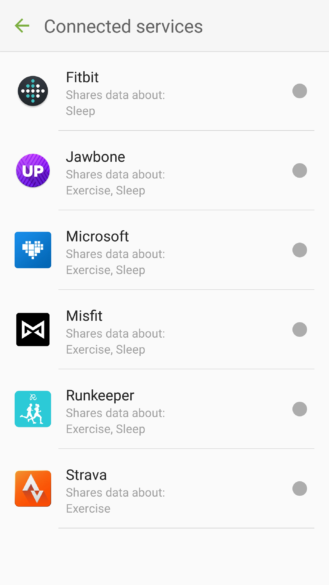 There, you will see a list of 6 new services that you can integrate with S Health: Fitbit, Jawbone, Microsoft Health, Misfit, Runkeeper, and Strava. 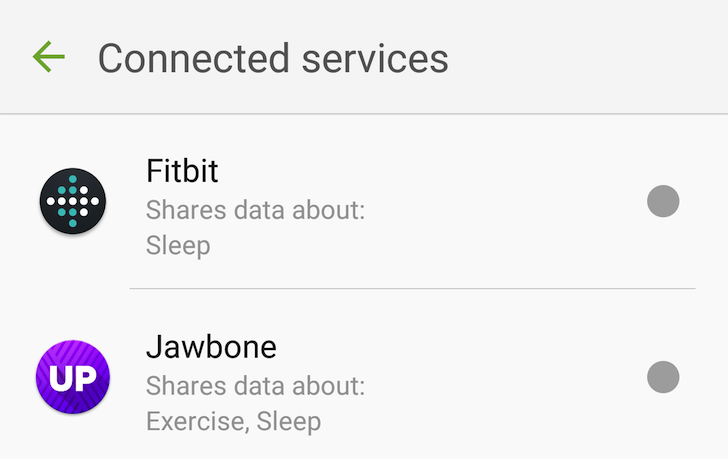 Most of them share both exercise and sleep data, except Fitbit which only shares sleep and Strava which only does exercise. Version 4.8.0 of S Health has been live since May 27, and has been followed up by 4.8.1 a couple of days ago, so the feature isn't new and has been accessible for over a month. But we thought it worth pointing out because Samsung has been mum about it in its changelogs and it's relatively hidden from the other integrated services within S Health.